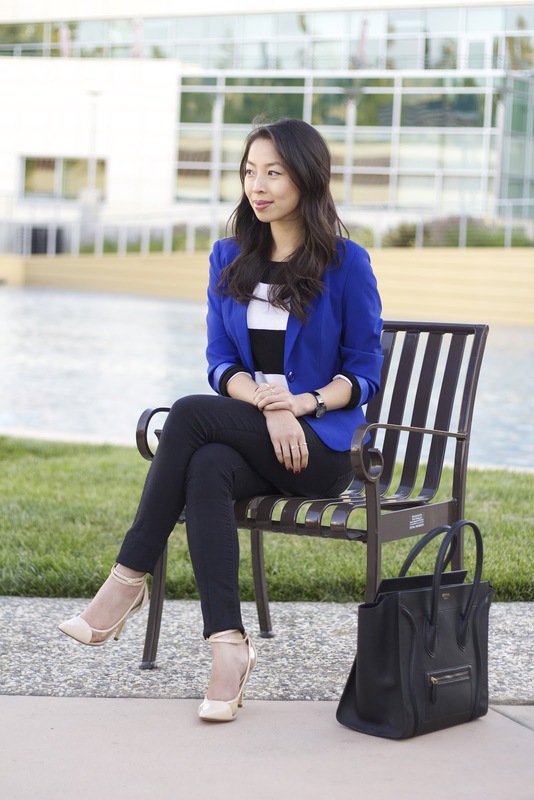 In this post, the royal blue blazer and heels are from DailyLook. Steal: Striped Boxy Lace Top from Forever 21, here. Splurge: Chunky Knit Sweater from Gap, here. Blazer: Royal Blue Blazer thanks to DailyLook, here. 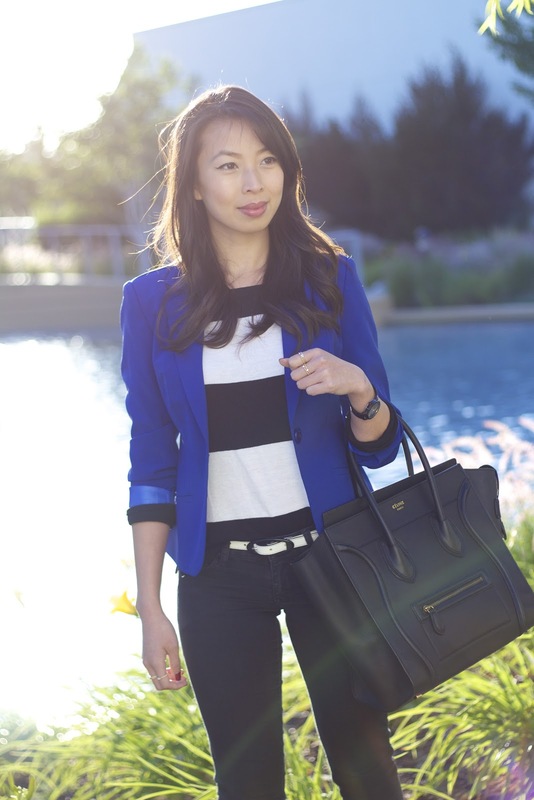 Steal: Royal Blue Blazer from DailyLook, here. Steal: Creamsicle Skinny Belt, here. Splurge: Allegra Double Wrap Skinny Hip Belt from Linea Pelle, here. Jeans: 1969 always skinny jeans from Gap, here. Steal: Zippered Stretch Denim Skinnies from Forever 21, here. Splurge: 1969 always skinny jeans from Gap, here. Steal: Mini On The Go Structured Handbag, here. Shoes: Clearly Chic Heels thanks to DailyLook, here. Splurge: Qupid Potion 44 Pump High Heels, here. 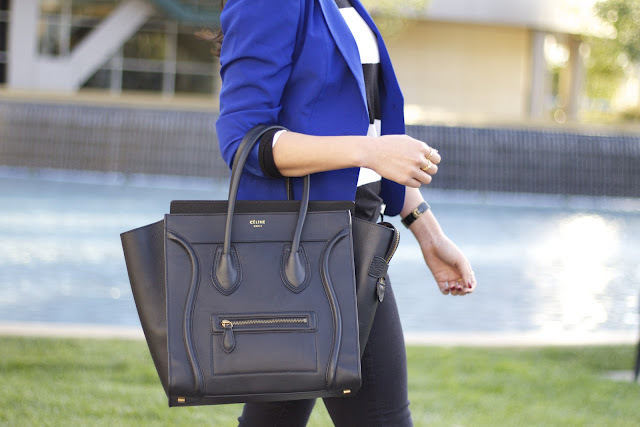 Love the pop of blue on black & white stripes and those heels are such a steal!! Those heels are so gorgeous, I love them! !